An image inspired by the cover of the Bryce 2 box. Done in Vue 2014.5 and rendered with the new photometric atmosphere. 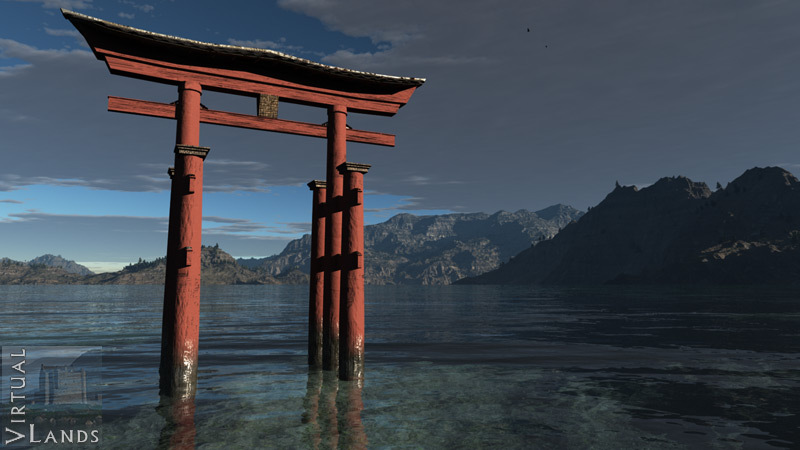 Torii gate given by a member of the Vue Galleries Facebook group.